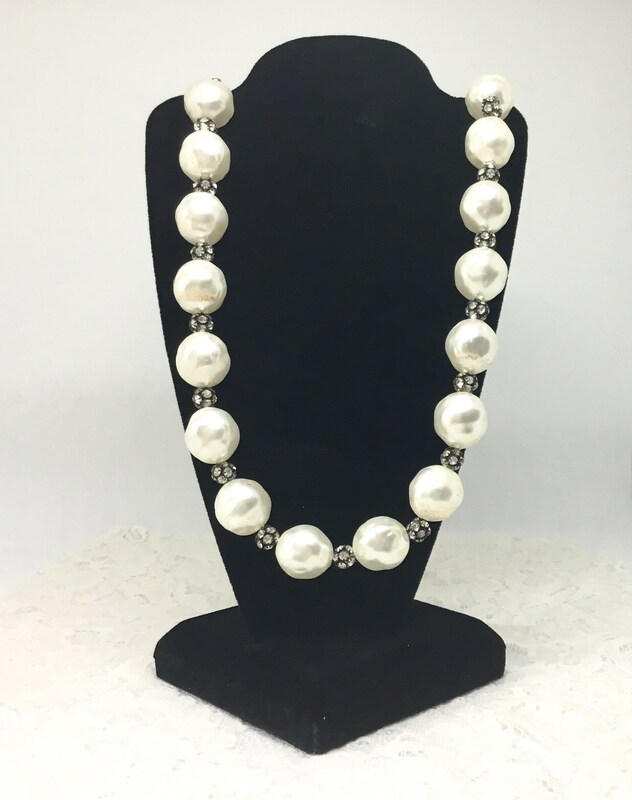 This is an eye-catching vintage 1950s unsigned creamy faux baroque pearl necklace. 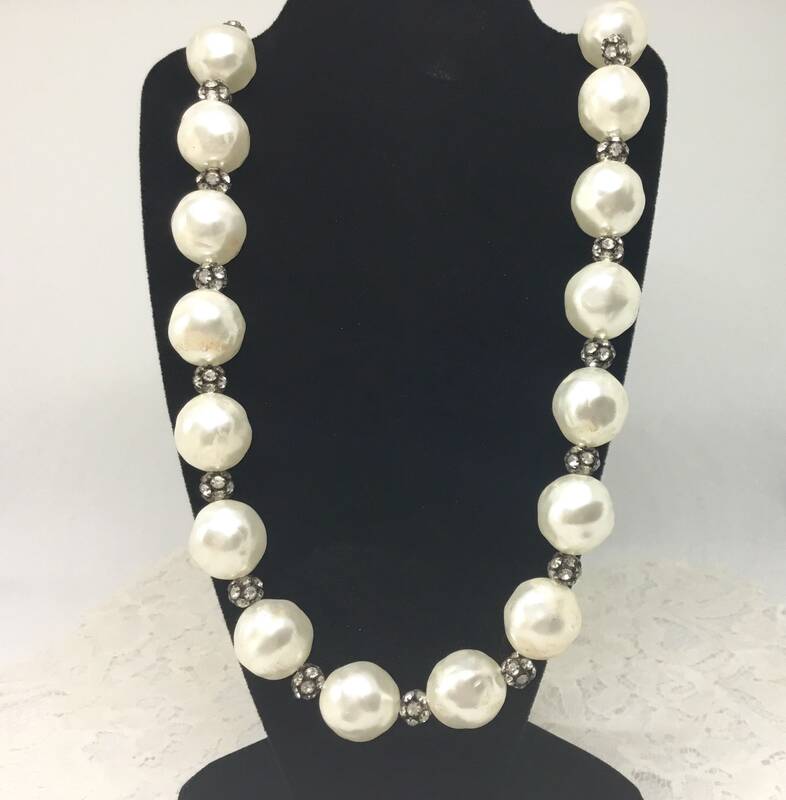 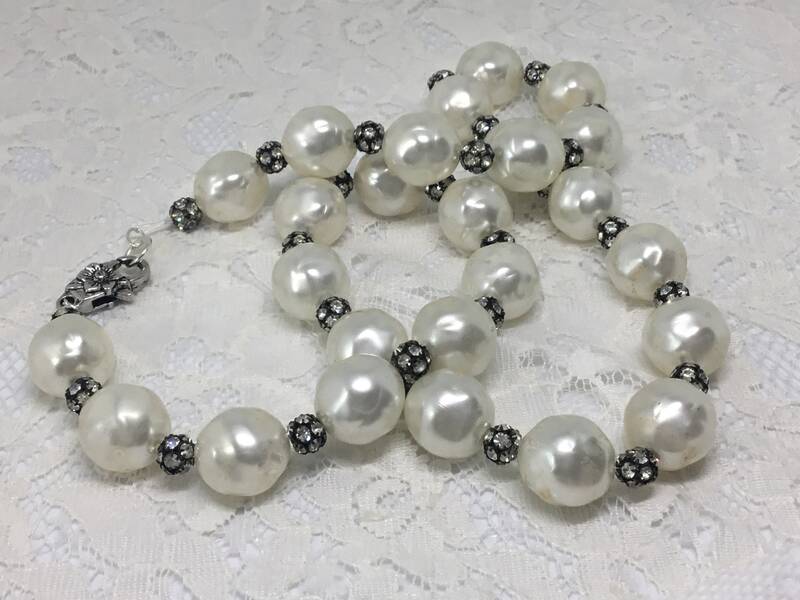 It is one strand, has been restrung, and all of the faux pearls are the same size. 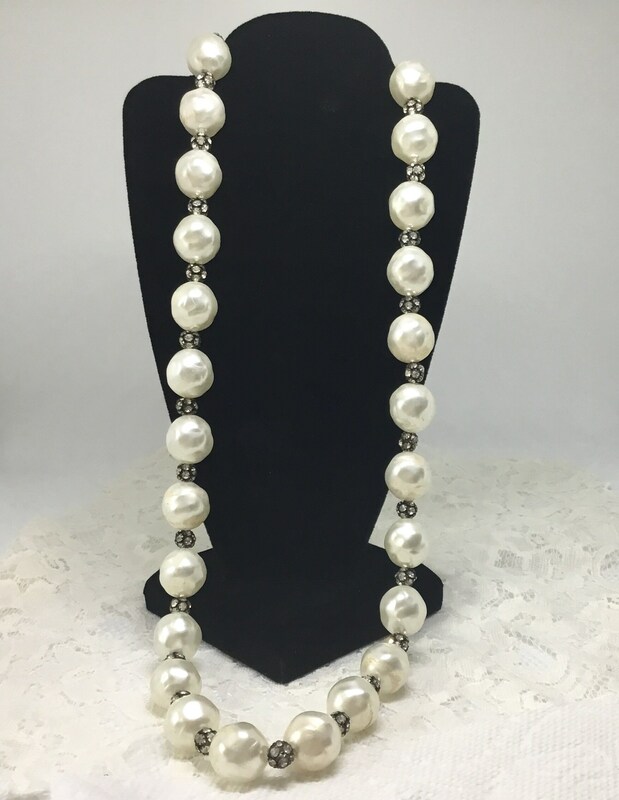 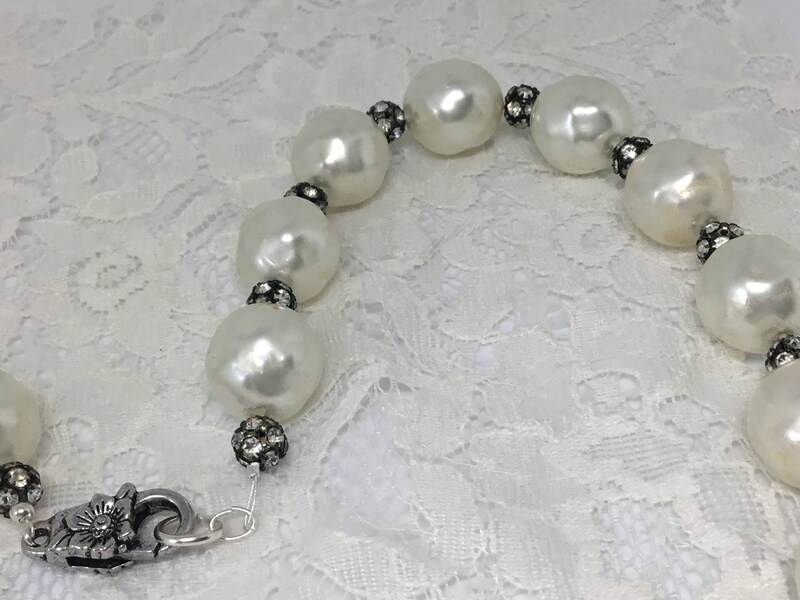 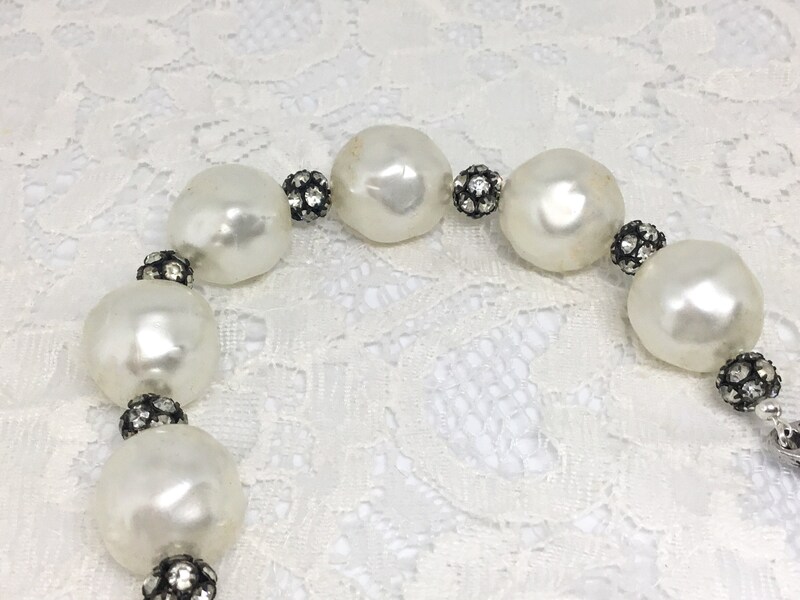 The large faux baroque pearls have clear rhinestone ball beads between each pearl. 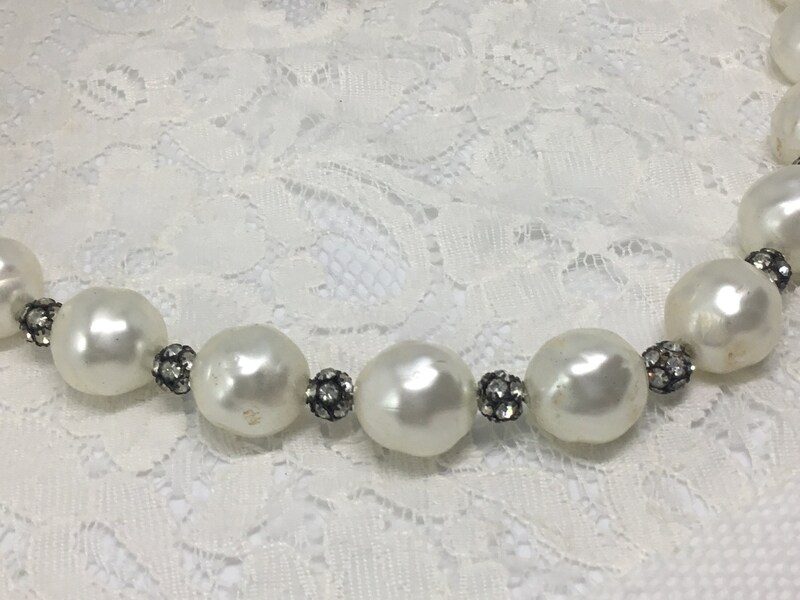 There are some vintage wear marks on a few of the pearls which are not really noticeable when wearing but are magnified in my pictures. 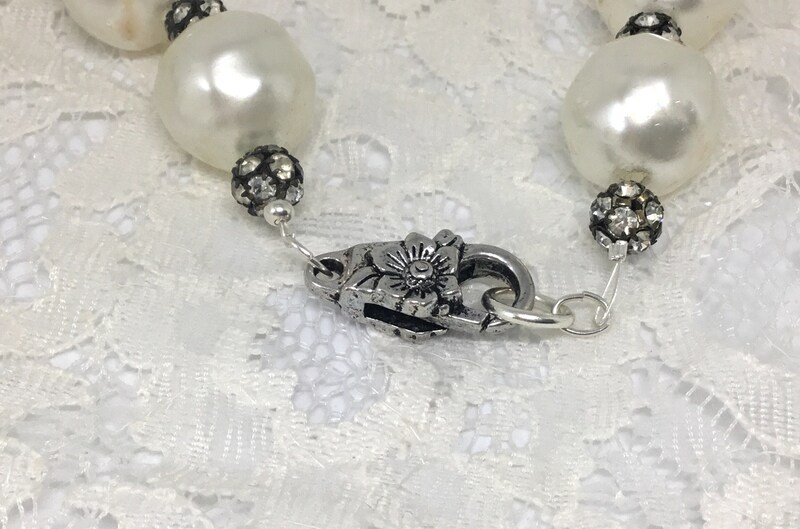 Steve also put on a new closure which is a silvertone flower alligator closure. 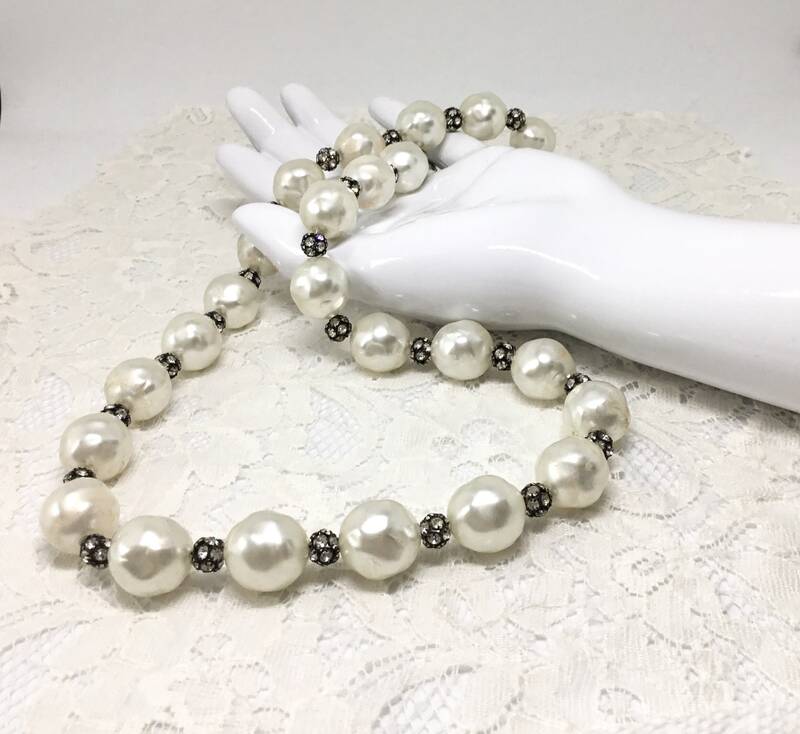 The necklace is 27” long with a 2” closure. 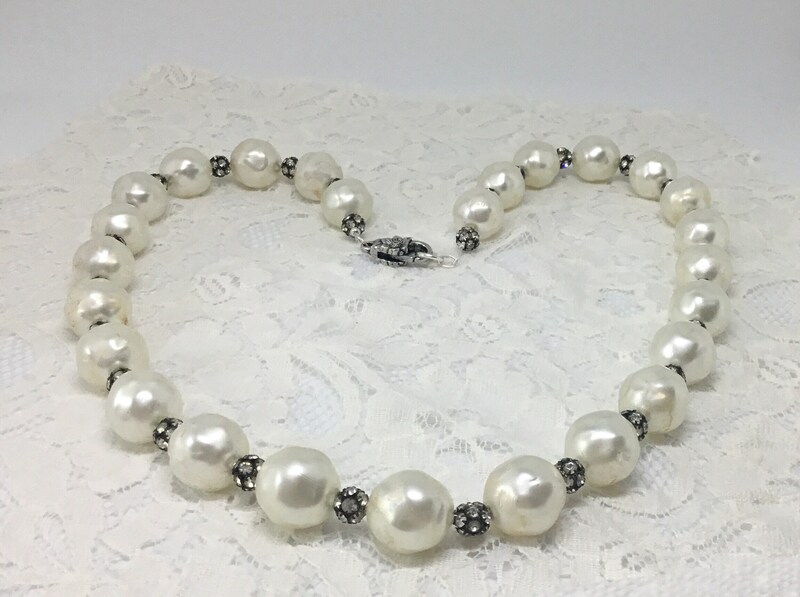 This is a wonderful necklace that will make you look fabulous for work or play!